This summer sees the release of the third installment of the new Apes series – War for the Planet of the Apes. Having been a great fan of the first two movies I was looking forward to this, but also slightly concerned – Is a trilogy of Apes or just one ape too many? Thankfully however I was not disappointed. 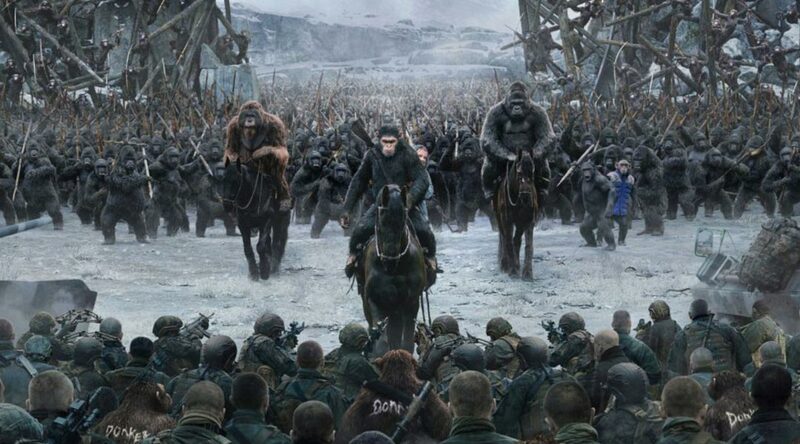 War for the Planet of the Apes has continued to prove that this is a blockbuster series with brain power. It is both emotionally intelligent and addresses important issues that raise philosophical questions. It is a film that may very well get new ideas forming in the minds of its young audience and make the rest of us reflect on thoughts we may not have bothered to access in a while. The plot is not quite as nimble and well rounded as its predecessors but it still entertains and engages. This is in large part thanks to the amazing stop motion technology and performance by Andy Serkis. The Biblical overtures of the apes’ journey to freedom is at once familiar and Epic and I felt completely immersed in their world. If you want a summer film infused with Simian smarts, then War for the Planet of the Apes is the choice for you.